It’s just an empty tube. A global tube supplier was having major issues keeping up with the 80+ SKUs of boxes they needed to package their product for transport to an array of filling plants. Each size tube required a perfect fit in a particular layout to pack out correctly on the line. But they also had to unload perfectly on the filler’s equipment. 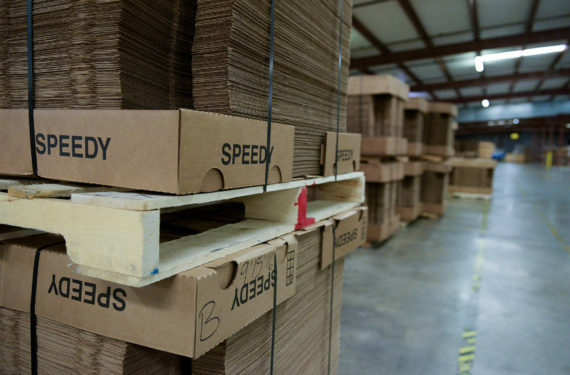 They reached out to our team for help reducing high inventory volume and costs, as well as handling the constant struggle of running out of the correct box. Their problem originated with a lack of time to analyze and plan effectively for the packaging end. Their customer requirements changed drastically every day and the tight 2 day turn-around made all procurement difficult, and this was just the beginning. Supply Resources ended up finding multiple solutions to improve their bottom line. To be exact: $180,000 savings in inventory reduction, $215,000 savings in labor costs, $700,000 savings in material costs, $85,000 in new revenue, and about $20,000 in soft costs like employee efficiency. Estimated bottom line increase of $1.2 M, along with a streamlined operation. We brought in our Director of Operations to integrate him into their planning process. He was given access to their production plan and was able to spend more time figuring out how to put safety stock in our distribution center, and only ship what they needed for a 3 day window at a time. They STOPPED running out of product, reduced the number of packaging pallets from 350 to 80, and reduced inventory value on hand by $180,000. Then we also took over the order entry process and went to blanket PO's, saving their Purchasing Agent hours each week. Once the planning was under control, we designed a new box that could withstand transport to their largest customers, be sent back, and used at least 4 more times. The cost of the new box increased, and freight for back-haul had to be considered, but in the end, the savings potential was over $700,000 annually. We soon realized that our customer was erecting boxes on the production line just before loading them onto the machine. We watched as line operators and assistants, the highest skill level employees, were struggling to keep up with the line for erecting boxes. Quality issues were not being caught due to time being spent on packaging. We came to them with a plan to install an on-site work cell, where our employees erected boxes and built empty pallets for each line in one central location, and delivered to the lines. Not only did this solve quality issues, but they were able to REDUCE their labor force to ONE operator per 2 lines. Over 14 lines, the net savings to labor cost was upward of $215,000. Also, if the plan changed suddenly, our team would break the unused boxes back down and put back into inventory. Scrap is part of the manufacturing process, but it is rarely profitable. Some items can get you back a fraction of its value and some must go to the landfill causing more expense and a less green environment. First, we installed our own corrugated compactor/baler for them to use to get the most corrugated scrap on a truck as possible. Next, we found another manufacturer that could actually use the scrap being produced by the tube machines that no one else could due to the material mix. This turned into a new profit center for them (about $85,000/year) and our trailers were always on-site to be loaded and switched out as they were filled. The more time we spent on-site, the more evident it became that their shipping/receiving department had limited dock doors for the amount of volume they had. Every possible door needed to be dedicated to outgoing so that staging finished goods was doable. We worked with them to reduce their vendor base of materials such as janitorial, office supply, and PPE products, and consolidated them all into our daily deliveries that were already active. Our trucks were now more efficient, their receiving department had a concrete schedule to rely on utilizing only one dock, another dock was used for our scrap trailer, and the rest were now dedicated to shipping. Also, they only had 1/4 of the incoming trucks, BOL's, invoices, and payments to handle - lowering soft costs - and we managed the inventory levels of these products too. Our philosophy is unique. Customers don't like putting all their business with one supplier, or all their eggs in one basket so to speak. We think that depends on the quality of the basket. Check out our Philosophy to understand why that is important. Click here to learn more About who we are.